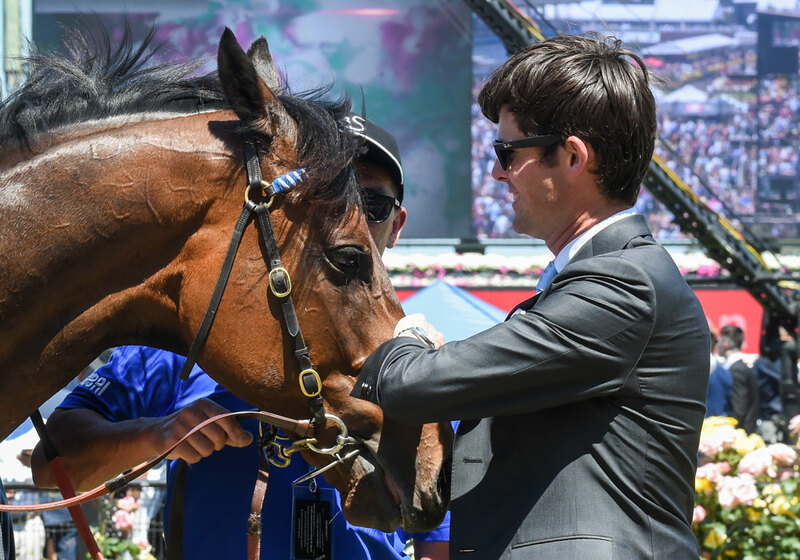 James Cummings was appointed as Godolphin's head trainer in Australia in May 2017, after almost a decade at the Sydney-based Leilani Lodge, Randwick, where he worked alongside his grandfather Bart Cummings before taking over the reins. James Cummings is a fourth-generation racehorse trainer, following in the footsteps of great-grandfather Jim, grandfather Bart and father Anthony. He began working as a stable hand for his father when he was just 13 and his love affair with racing grew from there. In 2009, he became foreman at Leilani Lodge under the tutelage of his grandfather and was granted his New South Wales Metropolitan Trainer’s license in 2013, entering into a training partnership with his grandfather. James continued to train at Leilani Lodge after Bart’s death, carrying on the extraordinary legacy of one of racing’s greatest ambassadors. He made the perfect start as Godolphin Australia’s head trainer, with his very first runner in the royal blue silks coming home a winner. He was responsible for his first G1 winner just three months later, when Alizee took the Flight Stakes at Royal Randwick in September 2017. James's trained the talented Hartnell to win the G1 Epsom Handicap at Royal Randwick on 29 September, 2018 and his most recent win at the highest level was recorded when Best of Days took the G1 Kennedy Stakes at Flemington in style in November 2018.